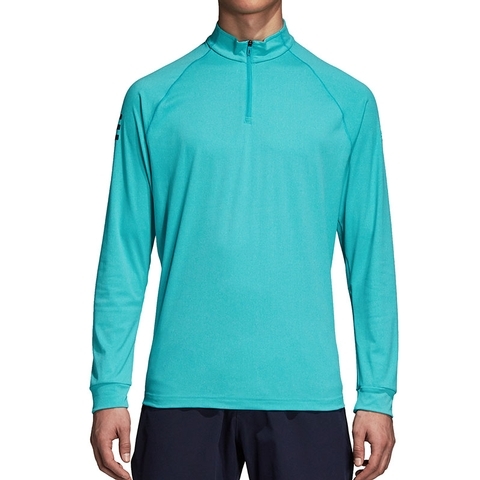 When the on court temperature drops, keep your muscles warm and limber in this men's tennis shirt. 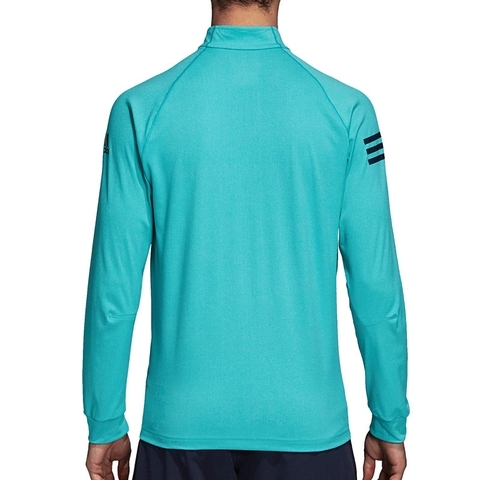 Built with just enough stretch, this long sleeve layer gives your arms a full range of motion to dial in your serve. 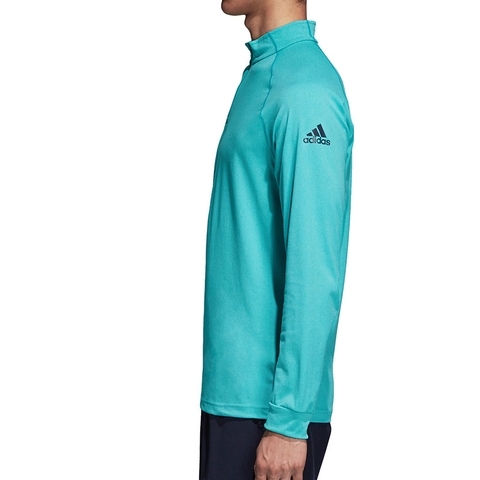 Soft climalite® fabric keeps you dry as you stretch the court, and 3-Stripes on one sleeve showcase adidas heritage. 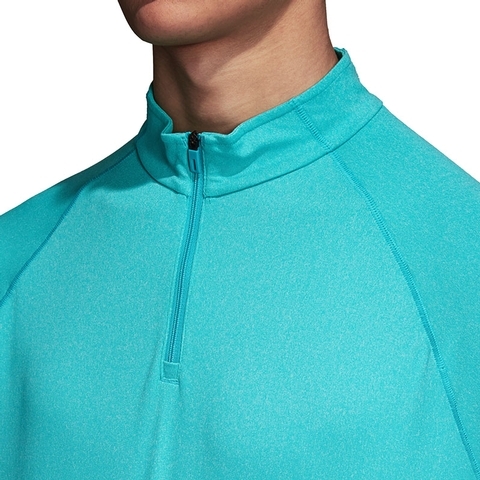 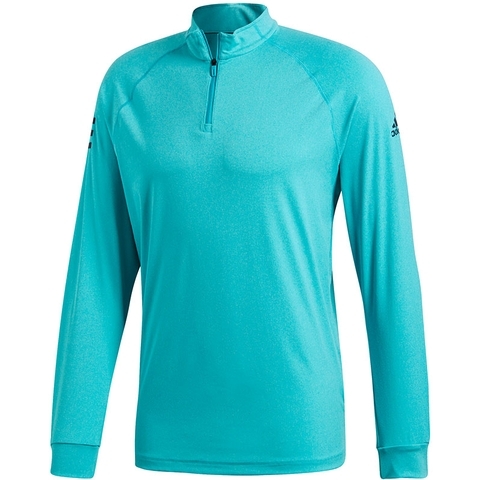 Half zip with stand-up collar. 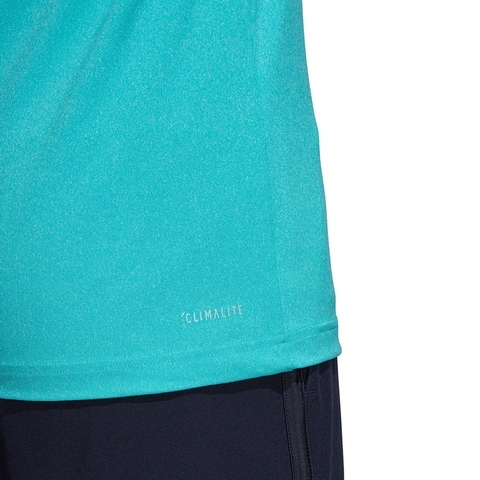 Raglan sleeves with two-tone overlock stitching. 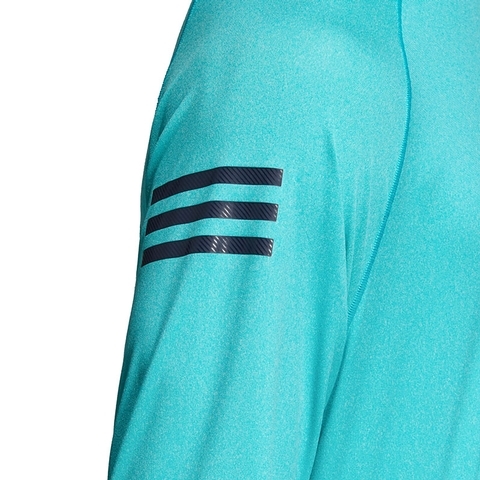 International Tennis Federation-compliant 3-Stripes on right sleeve.